DETECTIVE AMARO’S (DANNY PINO) BADGE IS ON THE LINE WHEN AN ARREST LEADS TO GUNFIRE. Detectives Amaro (Pino) and Rollins (Kelli Giddish) leave a party and stumble upon Officer McKenna (guest star Vicky Jeudy) in pursuit of a suspected drug dealer. A standoff leads to gunfire and the teenaged suspect is gravely wounded. While Amaro struggles to reconcile his by-the-book actions with his conscience, the SVU fights to keep Internal Affairs from jumping to conclusions. The case becomes a public spectacle and Amaro must decide if fighting for his badge is the best decision for his family. Meanwhile, Captain Cragen (Dann Florek) makes a surprise announcement. Also starring Mariska Hargitay (Sergeant Benson) and Ice-T (Detective Tutuola). Also guest starring Greg Germann (Derek Strauss), Elizabeth Marvel (Rita Calhoun), Robert John Burke (Lt. Ed Tucker), Dean Winters (Brian Cassidy), Cathy Moriarty (Captain Toni Howard), Mary McCann (Didi Denzler), Leslie Odom, Jr. (Reverend Curtis Scott), Gbenga Akinnagbe (Father Biobaku) and Mel Harris (Eileen Switzer). My recap and review of Law & Order SVU "Amaro’s One-Eighty” can be found at this link. Here is the promo for Law & Order SVU “Psycho/Therapist”: which will air on Wednesday, January 8, 2014 at 9PM ET on NBC. THE TRIAL OF WILLIAM LEWIS ONCE AGAIN PITS DETECTIVE BENSON (MARISKA HARGITAY) AGAINST HER ATTACKER. GUEST STAR PABLO SCHREIBER RETURNS. ‘The Beast’ returns when Detective Benson (Hargitay) is forced to face Lewis (Schreiber) in the courtroom, and the stress of reliving the attack causes setbacks in her recovery. With Lewis trying every trick in the book to continue his legal winning streak, Benson is forced to reveal some of the secrets she’s kept about the ordeal. 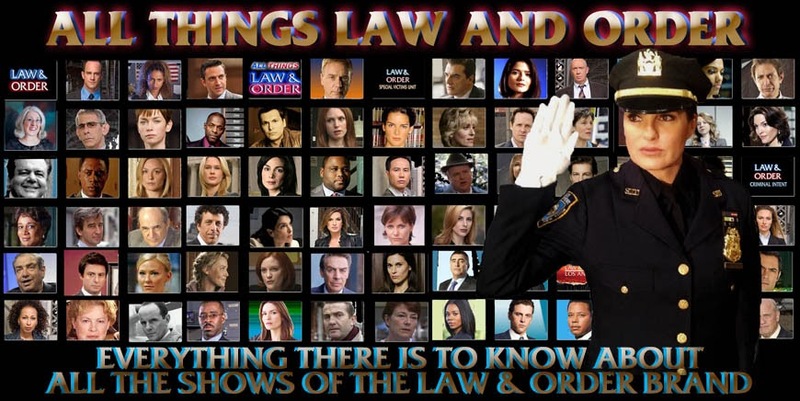 Also starring Ice-T (Detective Odafin Tutuola), Dann Florek (Captain Donald Cragen), Danny Pino (Detective Nick Amaro), Kelli Giddish (Detective Amanda Rollins) and Raúl Esparza (ADA Rafael Barba). Also guest starring Dean Winters (Detective Brian Cassidy), Renée Goldsberry (Counselor Martha Marron), Bill Irwin (Dr. Peter Lindstrom) and John Rothman (Judge Edward Kofax). Law & Order SVU doesn’t acknowledge the holidays very often…maybe there’s good reason. Here’s how Rollins and Fin handled Santa one Christmas. Enjoy the holidays, and don't forget SVU returns with a new episode on Wednesday, January 8, 2014. Here’s a snappy remix someone put together from the original Law & Order theme.